In the latest trailer for Assassin’s Creed, the movie is making its first connection to other assassins from the video game’s past. While we recently learned that the new movie will feature a major plot point from the original video game, the Apple of Eden, the connections may run even deeper. Fans of the game would know that the Apple of Eden was first introduced in the first video game and is the main reason behind why Abstergo took the main character, Desmond Miles, in the first place. However, this new trailer reveals that Callum Lynch, still seems to have contact with the past assassins from the video game. Toward the end of the trailer, we can see Callum Lynch standing in front of group of individuals who seem to be the Assassin Brotherhood. If the Apple of Eden exists in the movie, then the creators will have to come up with a logical way of explaining its existence and how it fell into the possession of the Assassins. The Assassins only have the Apple due to the efforts of Altair, the original assassin from the first video game. If the creators of the film want to explain the history behind the Apple, then it would make sense to include Altair and maybe Ezio. Though that depends on what time exactly during the Spanish Inquisition, the producers placed the movie. 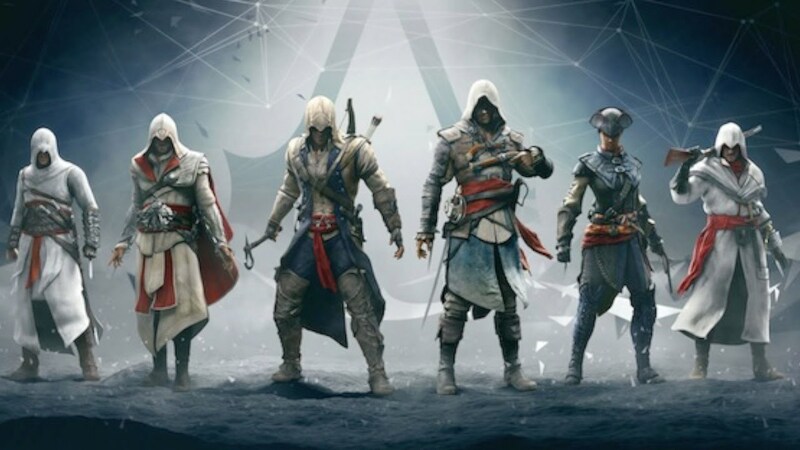 If these characters are included, this would be a big plus for fans of the game who followed the story of Desmond Miles closely and may have been put off by the introduction of this brand new assassin character.